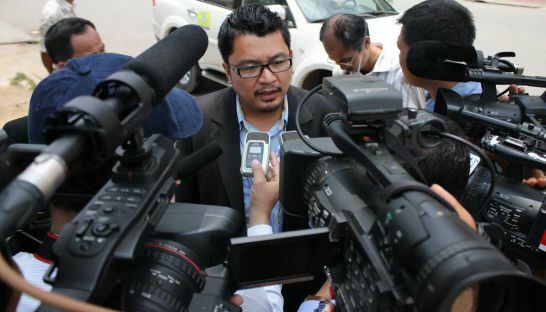 A vicious backlash on social media (including death threats) has started against human rights activist Ou Virak in reaction to his call for opposition leader Sam Rainsy to stop inciting discrimination against the Vietnamese. Virak, president of the Cambodian Center for Human Rights, has been attacked on his Facebook page in comments ranging from disappointment to outright vulgar abuse. In a statement released on Wednesday, Virak clarified that Rainsy singled out the Vietnamese in speeches, inciting discrimination against them. Virak said the virulent reaction against him reaffirmed his concerns about using anti-Vietnamese sentiment as a campaign platform in the first place. David Boyle in the Phom Penh Post reports on 19 December 2013 more on how thin and important the line is between opposition and human rights defenders. The OMCT and the FIDH, in the framework of the Observatory for the Protection of Human Rights Defenders, made an intervention under agenda item 9: “Situation of human rights defenders” at the at the 54th session of African Commission on Human and Peoples Rights [ACHPR] on 5 November. On 24 January 2013, human rights defender Martha Díaz was targeted again with a death threat. On 24 January, a package in a manila envelope was delivered to the residence of Martha Díaz, which contained a mass card and note with letters cut from a newspaper. The letters stated: “You are dead, you are a collaborator of the guerilla, we are not joking, one of you is going to die”[translated from Spanish]. On 22 January, the human rights defender had already received a pamphlet sent by a group who identified themselves as “Los Rastrojos”. Martha Díaz is Director of AFUSODO, an organisation of relatives of victims of extrajudicial executions and a member organisation of MOVICE (National Movement of the Victims of State Crimes). Since its creation, AFUSADO has received some 27 threats. Front Line Defenders issued an urgent appeal https://www.frontlinedefenders.org/node/20842 on death threats received by Martha Díaz on 14 November 2012, and has issued previous appeals on threats against human rights organisations in the Cauca and Valle del Cauca departments.